"I interned with Target the summer after my junior year as an Executive Team Leader. I had the opportunity to learn under each department manager and the store manager to understand what it means to be a leader in a retail environment. I was trained for the role as the Leader on Duty, which translates to the manager on duty that day in the store. Over my 10 weeks I learned with a diverse group of people, and applied the skills that I learned in my Food Marketing classes to the workforce." How did you first learn about this opportunity? "After returning from my semester abroad in Madrid, I approached Target at the Career Fair during the spring semester of my junior year. After talking for a little, I was asked if I was available for an interview next week. The day before my interview, Target had an information session in Campion to prepare the interviewees for the structure of the interviews." "SJU helped me to discover which route of business I wanted to explore. Many of my family members attended SJU, and a few of them were Food Marketing majors. My family and their successes also had a huge impact on my decision to study Food Marketing. This globally recognized program is something that I am proud that SJU welcomed me into, and I know will always be there for me in the future." 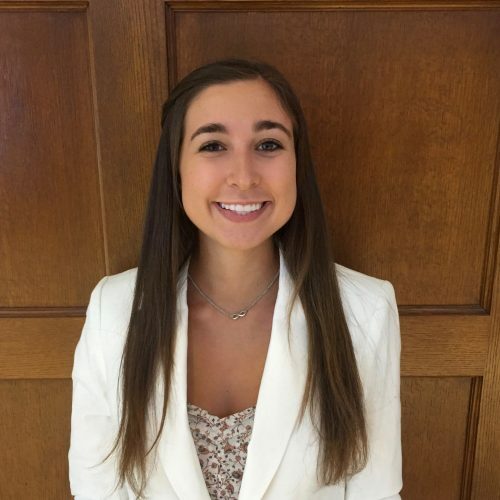 "I participated in multiple experiential learning activities in addition to the ones listed above while at SJU, including holding roles as the Dean's Office Assistant in the Haub School of Business and Intern in the Center for Professional Development in the Haub School of Business."